Newport, RI's Makeup & Skin Care Store of Choice! Also serving Middletown, Portsmouth, Jamestown, Bristol and all of Rhode Island. 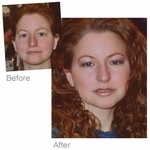 Personalized consultations and applications from Newport's best makeup artist! When you have a big event and need to look your best, leave your makeup application to Cosmetic Cosmos. We can help you choose from our wide selection of high quality makeup and either teach you how to apply it or have our expert makeup artist do it for you. 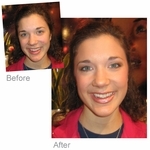 Our licensed makeup artist stays on top of the latest makeup trends to make you look amazing. Cosmetic Cosmos is known as a major online makeup retail store with customers all over the world. But did you know you can shop our vast makeup and skin care inventory right here in Newport, RI? We have the highest quality products at MUCH lower prices than you would pay at department stores with new products arriving monthly. 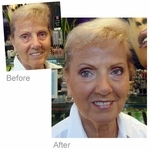 Let our makeup expert in Newport answer your questions and help you choose the proper skin care, foundations and color cosmetics to help you look your best. Get your personal make-up and skin care questions answered online when you "Ask Sherry!" Private appointments available or on-site application upon request! Wedding Makeup for just the bride or individual guests. 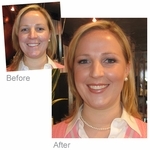 Bespoke Makeup in Newport, Rhode Island Looking For a Makeup Artist in Newport, RI? Sherry is a licensed makeup artist and owner of Cosmetic Cosmos. 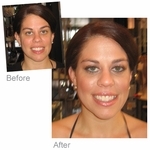 She has been providing the best makeup application and consultation services in Newport, RI since 2000. When it comes to looking your best, Sherry draws upon her years of experience to match up your features with the best make up available. If you can't stop by our shop in Newport, RI, just Ask Sherry any time for your free consultation!